Junípero Serra Museum: And where is the River? 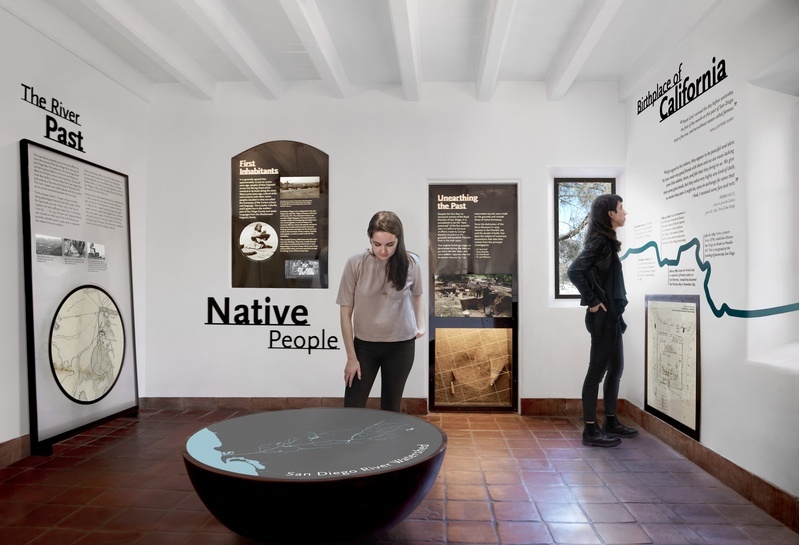 The often heard San Diegan inquiry—And where is the River?—is answered through the Oculus Well, a digital installation at the center of the Junípero Serra Museum Welcome Center. 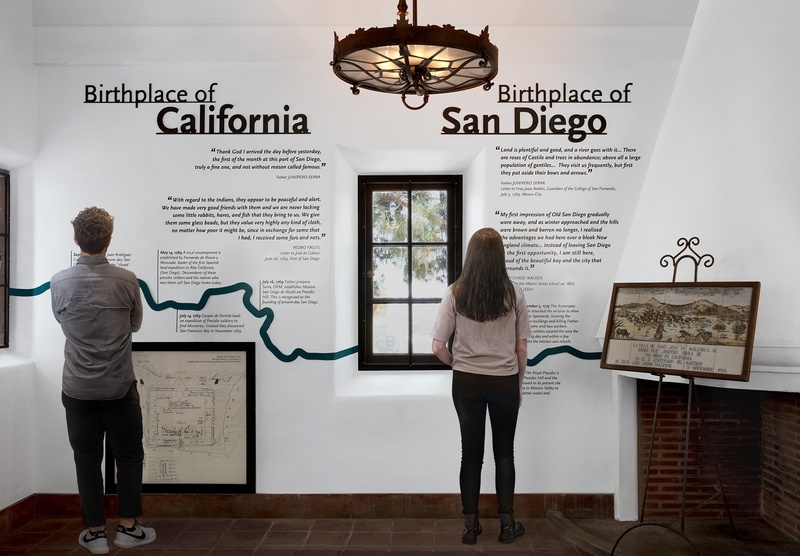 The studio designed the installation, along with several planned exhibit phases that were part of the Junípero Serra Museum restoration. 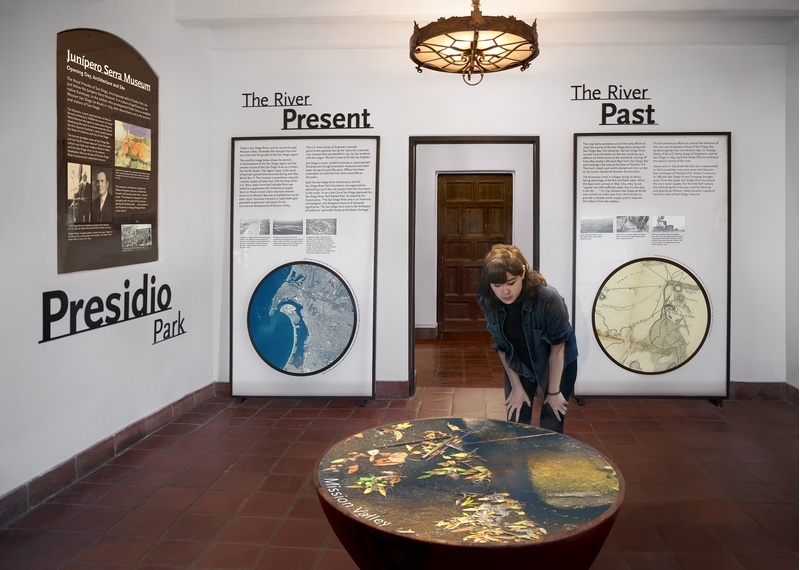 The exhibits and media pieces explore the city’s long and complicated relationship with fresh water, particularly the adjacent San Diego River. 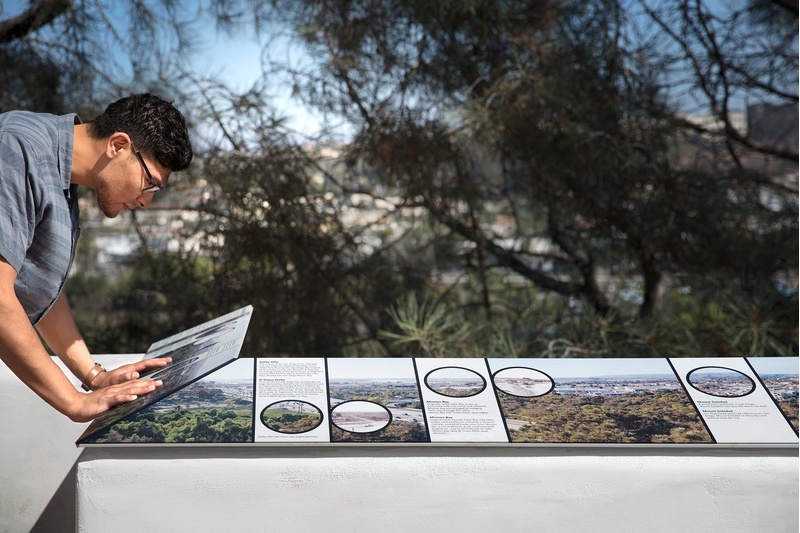 The Oculus Well video projection follows the River from headwater past the historic Mission Dam to the Pacific, grounding each location to an overview diagram of the complex local watershed. The life-size, high definition video appears on an oculus reminiscent of wells or fountains: a contextual metaphor inside this 1929 Spanish Revival landmark museum. Vital to the founding of the City in the 17th century, the River was reshaped and channeled during San Diego’s unparalleled expansion in the second half of the 21st century. The waterbody has always been at the center of the many cultures—indigenous Kumeyaay, Spanish missionary communities, Californios of the rancheria era—that have made this region home since prehistory. The exhibit and video was funded by the San Diego River Conservancy and California Water Action Plan.